For purchasers who have started building and those still waiting to get started, this has certainly been a whirlwind year. Our team is no doubt looking as forward as you all are to see Redbank progressing and public spaces commencing hand over in 2017. With more than 452 lots sold across the estate to date, our team has settled 115 lots over the last 18 months. At any one time during the week, our sales team are regularly managing up to 40 potential buyers and over 500 leads from an average 2600 hits on the website. Our first standard residential lots were sold 2 years ago in Yobarnie Rise and were priced from $288,000. As we all know we have seen significant growth in land prices across Sydney and our team has recently resold a park front lot in the same stage for $675,000. Mountain View continues to take shape. All the trees have been installed and footpaths are nearing completion. When we first released this stage to the market, lots averaged $388,000. Resales within this precinct are now selling for an average of $455,000. Progress is being made with Sydney water each week and registrations will start commencing early in 2017. The Gallery precinct, a collection of contemporary architecturally designed low maintenance residences, sold out in 2016. Together with MacDonald Jones Homes, we are looking forward to seeing their construction commence early in the new year. Belmont has finally commenced initial works on site and it is exciting for owners and NRJV alike to see some progress. With now only a handful of lots remaining for sale, Belmont is set to become a jewel in the Redbank crown. Within the estate, there are more than 70 homes under construction with our first residents moving into new homes over the last month in time for Christmas. 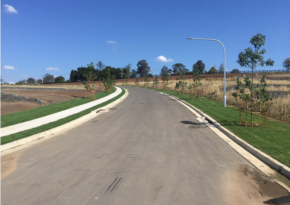 Over the past 12 months our team has completed civil works for 252 lots across 3 stages - Yobarnie Rise, The Gallery and Mountain View. During civil construction to date, our civil contractor JK Williams have laid 4.76km of sewer infrastructure, 2.9km of stormwater drains, 3.53km of water infrastructure, 2.9km of roads, 5.3km of electrical cabling and 6.0km of NBN cabling. During landscaping, we have undertaken the installation of 286 mature trees, laid 16,490m2 of turf and constructed 4,070m2 of new footpath. The footpath installed is twice the standard council thickness. In 2017, we hope to complete civil construction of Belmont’s 74 lots and commencing 150 lots in Yeomans. It is anticipated that stages 1 to 3 will be delivered by October 2017, with the remaining lots in stage 4 to be completed the following year. We will be working very hard to meet this timeframe however, as with all anticipated timeframes, they are subject to change as they are dependent on many factors out of our control. Once final approvals are in place, installation of Sydney Water's permanent infrastructure for the entire estate will commence. We anticipate lodging another development application for 150 lots over 2 precincts. We will continue to work with Council on social infrastructure and discuss plans to upgrade the existing North Richmond Community Centre, which is one of our Voluntary Planning Agreement conditions. Along with many residents and purchasers, we are eagerly awaiting an update on the progress of the Proposed Yarramundi Bridge Part 5 Application lodged with Hawkesbury City Council. Thank you for being a part of our journey. Our team is looking forward to another exciting year ahead and we hope you all are too. House construction continues to progress at breakneck speed with notable changes across Yobarnie Rise in the past fortnight. With new slabs being laid, framing going up and roofing going down the site is a buzz of activity as many houses close in on completion. It has now been confirmed that cameras will be installed in key locations next week to monitor the security of the site over the Christmas break. We suggest that if your house is under construction that you secure your site over this period and keep an eye out for your neighbourhood as no builders will be on site. For our new residents, we look forward to commencing our community based events throughout 2017 as our new residents move in. Water and wastewater is connected for our stage 1 release lots. We are awaiting final approvals to be issued which form part of Land and Property Information required paperwork for registration. 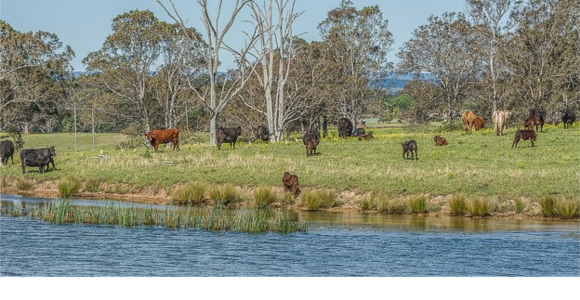 Stage 2 release are waiting for a water and wastewater connection date to be advised by Sydney Water. Part of the required work to be undertaken to enable Stage 3's connection, the installation of a water main on Grose Vale Road, is now complete and awaiting connection. This is likely to take place in the New Year. Additional works are required to meet Sydney Waters connection requirements in the stage 3 release area. Purchasers will be advised of the additional work required and anticipated timeframe early in the New Year. I'm sure you will all agree the trees, footpaths and council verges in Mountain View look fantastic. Landscaping is now 95% complete. Early site works including site set up for the Belmont precinct have commenced! Site establishment is well underway. Over the last fortnight JK Williams have been busy cutting in the new site access road, establishing site fencing and highlighting exclusion zones to help protect our heritage and environment during construction. Dam decommissioning will commence early in the new year. There are only 8 lots left for sale in Belmont. 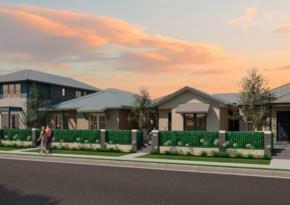 If you or anyone you know is interested in one of these lots, please contact our sales office on 1300 289 733 to discuss. The anticipated time frame for registration is fourth quarter of 2017. Commencing in January 2017, North Richmond Joint Venture will be undertaking preliminary earthworks on behalf of McDonald Jones Homes. Undertaking preliminary earthworks will allow McDonald Jones Homes to commence construction of homes as soon as possible following registration and receiving relevant construction approvals. Purchasers will be sent an email to confirm lodgement of paperwork with Land and Property Information, once this step in the registration process has taken place. We anticipate lodgement of paperwork will take place in the near future. We are eagerly awaiting the Yeomans Development Application review on Thursday, 22 December 2016. An email will be sent to purchasers advising the outcome of the review early in the New Year. Our team continues to work on the civil, landscape and utilities designs. We are also in the process of preparing the Construction Certificate Application package. This will be submitted once our Development Application is approved. Over the last month aboriginal salvage has been taking place in the Yeomans precinct. This work has been undertaken as part of the Aboriginal Heritage Impact Permit approved for the site. Excavation and salvage work is progressing well. Teams have discovered a number of relevant artifacts in the area. We will provide a further update on the work undertaken and details on any interesting finds towards the end of the program. 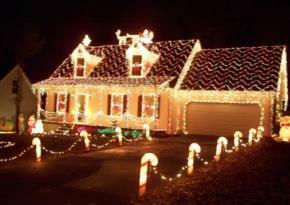 We wish you and your family a wonderful Christmas and New Year! Our Corporate Office, Sales Office and the Design Review Panel will be closed from Friday, 23 December 2016 and will reopen Monday, 9 January 2017. Any purchasers wishing to submit their home landscaping and designs may do so during this time via email at designreview@nrjv.com.au however your email will not be responded to until after we return. Please stay safe during this period. We look forward to seeing you all in the New Year! 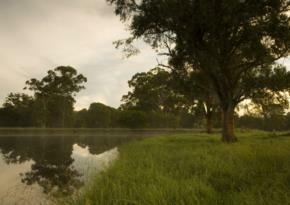 Local RSL Lifecare resident and avid photographer Tom Walsh has been out and about around Redbank. Each update will include one of Toms photographs from the last fortnight. This week's photo was taken on site in Belmont. Brooke Taylor on 0404 488 950 for details.